Home/Blog / Can Eyelid Surgery Affect Eyelash Growth? 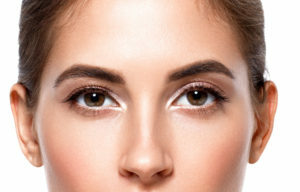 Eyelid surgery, or blepharoplasty, is designed to enhance the appearance of the eyes and improve the field of vision. As part of the process, excess skin and fat are removed through incisions on the upper eyelids, the lower eyelids, or both. Although a rare occurrence, one of the possible side effects of this popular procedure is reduced eyelash growth. Currently, there is no way to predict whether an individual will experience eyelash growth issues as a result of eyelid surgery. That said, in cases where growth is hampered, the issue often resolves itself over time. However, in a very few instances it may be permanent. If you’re concerned about this effect, our experienced plastic surgeon can go over the risk with you in greater detail during your initial consultation. With this information, you can determine whether this eyelid treatment or another is right for you. It’s important to note, in addition to being an unusual and rarely occurring symptom, there are new ways to address inadequate or reduced eyelash growth. Talk to us today to learn more about eyelid surgery and what to expect from the results.